Prepstyle71, an online poker player from Canada has won the event#63 of the world championship of online poker. The event was of a $2,100 buy in Pot Limit Omaha, 6 max championships, which attracted 575 players, out of which 406 were fresh entries and 169 were re entries. They generated a cash prize pool of amount $1, 150, 00, which was distributed to top 65 places of the game. Most of the money of the prize pool belongs to the Canadian winner named Prepstyle71, who got $202,930. Bullitos from Netherlands was the runner up of the event, who collected a good total of amount $140,262 as winning share. Meanwhile third position of the event goes to another poker pro from Netherlands named omyg0t and he received $96,947 from the Pot Limit Omaha tournament. 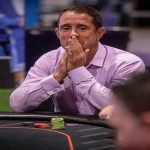 On the end of the day 1, only 66 players remained in the game to play for second day, while Canada’s prepstyle71 was the chip leader of the day 1 with total around 600,000 chip stacks. Seat#1, seat#2 and seat#3 were for Bullitos from Netherlands, who had 3,239,419 in chips, prepstyle71from Canada (1,924,369) and Ravenswood13 from Malta with total 526,798 chips was at seat#3. Seat #4 and seat #5 were for Miltos14 of Cyprus (1,447,913) and omyg0t of Netherlands (3,062,578). Meanwhile a player from Mexico gordo16 was at seat#6 of the final table with total 1,298,923 chip counts. 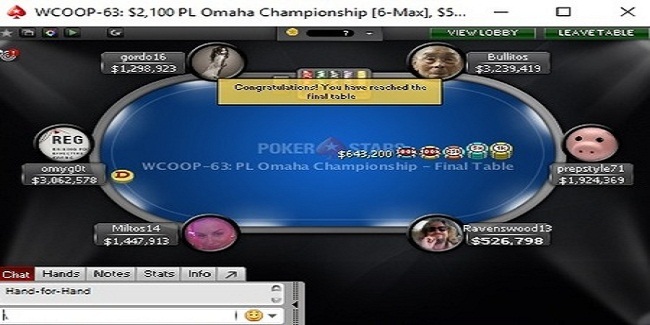 First player who got eliminated from the table was a pro from Malta named Ravenswood13, who collected $32,012 from the Pot Limit Omaha 6 max game.